SD Vijay Milton is an Indian director and cinematographer. He mainly works for Tamil movies. He has successfully shown his directing skills in his movie ‘ Azhagai Irukkirai Bayamai Irukkirathu’ in the year 2006. The movie starred Mallika Kapoor and Bharath. Within the duration of just six additional years, Vijay has successfully managed to gain credits in 22 movies. He has worked on 22 movies in just six months, which is definitely a commendable task. 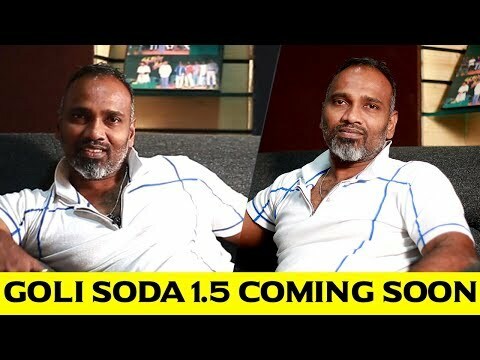 His first commercially successful movie was ‘ Goli Soda’ and that gave him the push towards getting into production. He started a film that was titled ‘ 10 Enradhukulla’. The film was shot on the roads and had actors like Samatha and Vikram. In 2016, he also shot another flick by the name of ‘ Kadugu’. He reinforced his strong ties with Bharath, the actor. In the movie Bharath plays the role of a villain, which he would not have taken, had the project not been managed by Milton. He is a very dedicated professional and is very passionate about his art and skills. He began working in the film industry in the year 1998, with the film “Priyamudan.” Priyamudan was a part of Tamil cinema and his role was that for a cinematographer. His efforts were brought to highlight when he was nominated in the category of Best Cinematography for his film, ‘Vazhakku Enn 18/9’. The most appreciable part of Milton’s work is that everything gets done immediately once it falls under his umbrella. He barely takes breaks and continues working on one film after another. Despite that, his movie 10 Enradhukulla took around 15 years to get complete. Not just his professionality, but Vijay is also known for his thoroughness. He is known for keeping backup plans ready. He has also written scripts for very successful movies and has won a lot of critical acclaim from the film fraternity. He is very enthusiastic about traveling. He confesses that traveling helps him shortlist places and locations that he may use for his next project. His father was also a director. Back then he knew implicitly that he would also be entering the film industry. Vijay worked as an assistant director to his father and right then he knew that he should branch out into different avenues so as to be more productive. He felt that as a cinematographer he had more options to explore and experiment with his skills. After branching out as a cinematographer, he gradually got into writing scripts for movies. Vijay feels very proud of the progress he has made as a member of the industry.